To bring the construction sector to a higher level of productivity and fundamentally change the way we design and construction, the BIM Institute encourages the industry to embrace the concept of Design for Manufacturing and Assembly (DfMA). To facilitate adoption of DfMA, BCA has put in place the Construction Productivity and Capability Fund (CPCF) to support firms productive technologies, develop the workforce and build capability. One way the DfMA approach can be managed effectively is through the use of Building Information Modelling (BIM). BIM is the process of producing a model of an asset that contains information about the asset. With BIM, the downstream DfMA activities (such as procurement, fabrication, transport, installation) through which projects are delivered on site will be more comprehensively linked to upstream activities (such as briefing, options appraisal and concept design). This will greatly enhance the common understanding of the project by all stakeholders. Using BIM, digital models of the DfMA components and their connections can also be developed with an aim to streamline the processes of manufacturing and assembling these components. Over time, the knowledge gained from adopting a DfMA approach can be embedded in a set of structured data-rich models of standardized DfMA elements, such as PPVC, PBU, precast components or others for the industry to use. 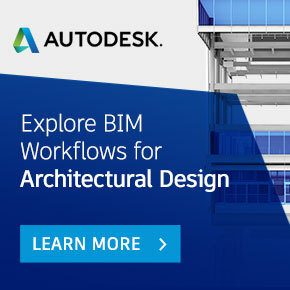 This will accelerate the adoption of the systematic approach to DfMA that BIM engenders. Why adopt BIM for DfMA? One of the main characteristics of DfMA is its component driven, modularisation and standardisation approach. DfMA also requires planning, adapting and optimising the design at the early stage to facilitate the fabrication of components or modules off-site and subsequently assembly on-site. Hence, the use of BIM as an object-driven tool and as an integrated collaborative environment provides potential benefits when leveraged on to drive the DfMA process.